Soren’s Restaurant Dilled Potatoes and Sour Cream is a great change from ordinary potato salad. 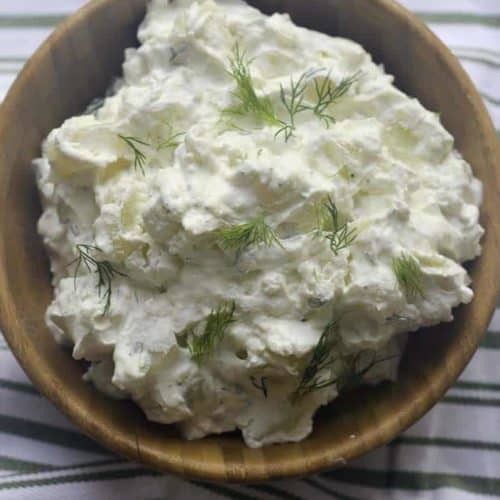 Are you ever looking for a unique way to prepare potato salad? 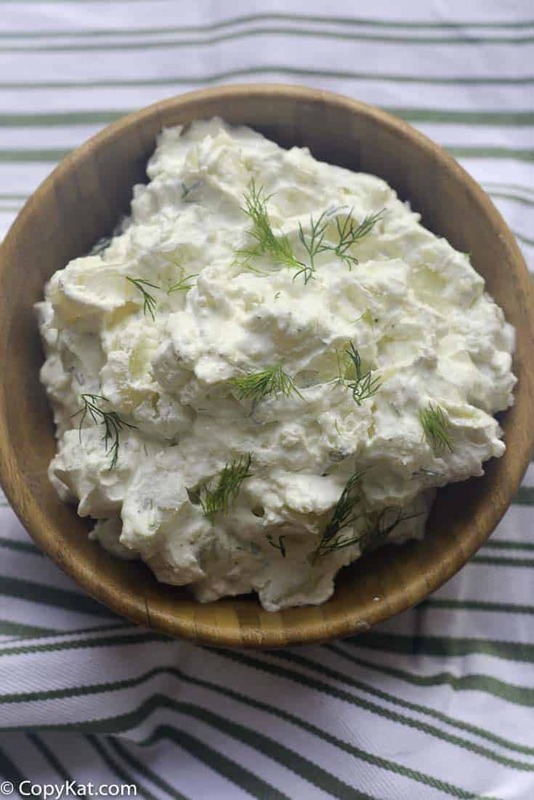 Soren’s dilled potatoes and sour cream is a great way to make a simple potato salad. It is the perfect way to prepare potatoes during the summer. Fresh dill grows in abundance during the summer, and it is a key ingredient for this way to serve potatoes. I like to make this recipe a day, or at least an evening ahead of time so the flavors can mingle together. You can use any potato for this recipe. Make Soren’s Restaurant Dilled Potatoes and Sour Cream at home. Boil potatoes until tender. Drain potatoes. 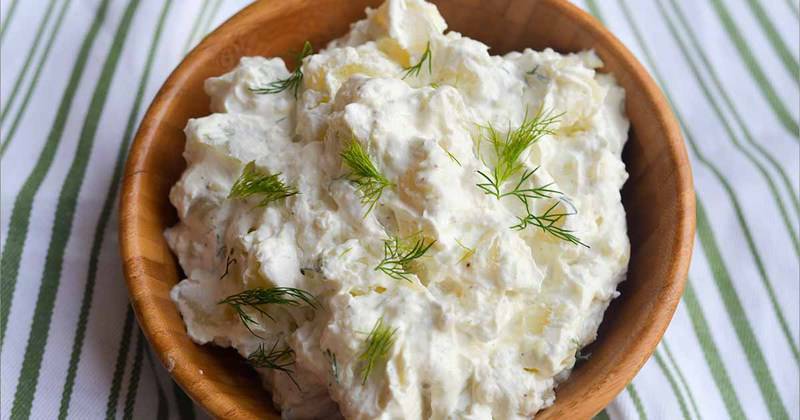 Combine sour cream, dill, salt, and pepper. Add to cooked potatoes and chill. This was fabulous! We love it and their were no left overs!